​Even though it is natural to seek change and transformation, this process can be unsettling. 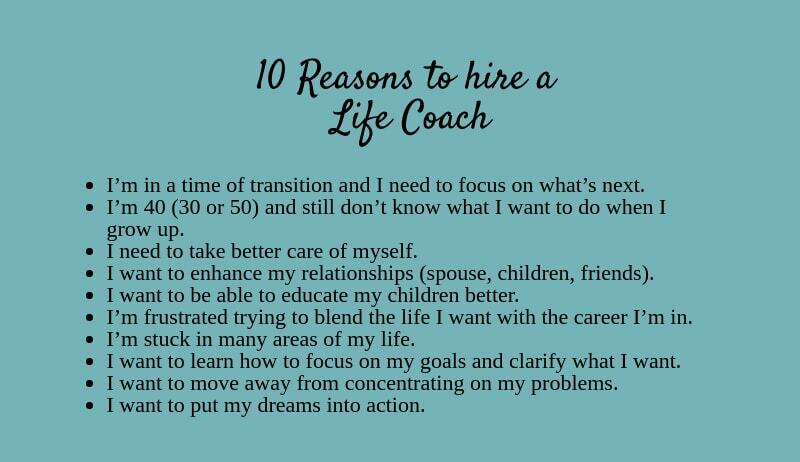 The fact that you are considering hiring a Life Coach means that you are already behaving in a new way. Who you are now is an individual open to transforming your life and living more consciously. The following list of reasons comes from people who, like yourself, want change. How many of the following statements are true for you?